Brussels, 12 January 2013 – EPACA members gathered on 9 January for an informal discussion with representatives from the European Parliament on best and worst lobby practices. MEP Malcolm Harbour (ECR, UK) and Constantin Gissler, Assistant to MEP Jürgen Creutzmann (ALDE, Germany) generously shared thoughts and insights from their work and the fifty-something workshop participants enjoyed a straight-forward dialogue on best practices for European Parliament lobbying. Industry is considered as an important stakeholder in the legislative process, as long as lobbyists are prepared to have everything they say placed on the record and do their utmost to keep the contribution timely and to the point. Most MEPs find it crucial to hear how legislation will affect concerned parties and welcome a discussion from the beginning of a negotiating process. 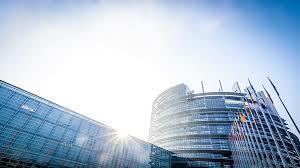 Make sure that companies and organisations include senior decision makers in the lobby process and allocate enough resources to contribute to discussion in a constructive way as discussion with the people who actually have to take the decisions is much more meaningful for the MEPs. MEPs expect consultants to give clear strategic advice to clients on the big picture to enable timely and useful contributions to legislative procedure. Prior to a meeting, clients need to understand the state of play in the policy debate, MEPs’ opinions and Parliament procedures. To build trust and credibility, companies should get engaged early in the process to provide relevant information. Good examples of how to contribute include analysing the Commission’s impact assessments to provide clear feedback on an upcoming legislation’s impact and making company experts available for MEPs to consult in complicated issues. Lobbyists should also keep in mind that the smaller political groups have limited resources and therefore need to make strict priorities of where to focus. Apart from rapporteurs and shadow rapporteurs, it can be valuable to meet with coordinators to get messages across in an effective way. Naturally, it is important to remember that MEP assistants are key in the legislative work. After meetings, assistants usually become the key contact point for detailed discussions. To keep up a good working relationship with them, a hands-on word of wisdom is to avoid harassing them. Finally, the role of national governments should not be underestimated, as MEPs regularly are in contact with their parties at home. Lobbying is a delicate profession requiring strong communicative, strategic and diplomatic skills. The attending EPACA members left the workshop feeling proud of their important role in the EU legislative process, but also inspired to continue to improve the way of how to contribute.